Sophie is owned and loved by Dawson and Wanda Hogg. Dawson and Sophie share the same birthday although Dawson is older by five years. 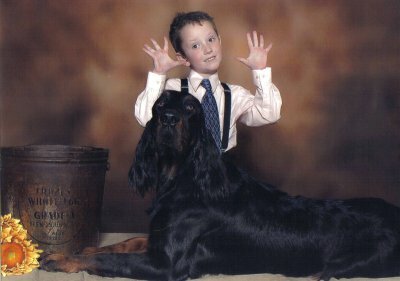 These two have a special bond as only a boy and his dog can have. Dawson has been kind enough to loan Sophie to his mom Wanda, who has put her Canadian championship on her. 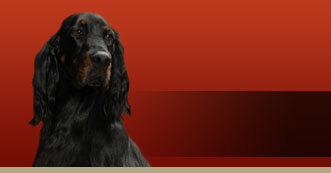 Sophie has recently attended her first hunt test where she qualified for her Field Dog Junior title in three tests. Sophie ran and qualified a fourth time just for the fun of it. 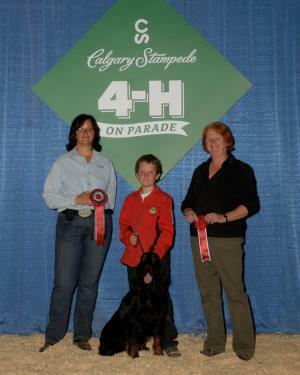 Dawson and Sophie shown winning Showmanship Best Handler Junior Division. This team has come along way in the past four years and we are really proud of them.